As a real estate professional, you want to help protect your home buyers with a home warranty company that has comprehensive coverage, great customer service, and a quick and easy ordering process. Landmark Home Warranty goes above and beyond to help you help your clients. Learn more about Landmark’s local representatives in your area, free educational materials, and our warranty plans for your home buyers today. Landmark Home Warranty works closely with real estate professionals like you and provides free educational materials to help you help your clients. Download a Landmark Home Warranty contract from your state to view our coverage and pricing on warranties for your home buyers. Landmark prides itself in affordable pricing for your clients. We provide local reps as well as in-house support teams for you. Landmark provides reps for RE Pros wherever you are located! Contact your local rep for ordering, claims management, and more. 1 - 5000 sq.ft.5001 - 6000 sq. ft.6001 - 7000 sq. ft.7001 - 8000 sq. ft.8001 - 9000 sq. ft.9001 - 10000 sq. ft.10001 or more sq. ft. These plans are for home buyers who are purchasing their home through a real estate transaction within 30 days. For homeowners who have owned their home for more than 30 days, please go to our homeowner plans page here. Cost based on a single-family residence under 5,000 square feet. Continue onto our order page for more property options and prices. Input your information and we'll email you our contract and brochure for homes in Arizona, Idaho, Nevada, Oregon, Texas, and Utah. Why do real estate agents prefer Landmark Home Warranty over other home warranty companies? 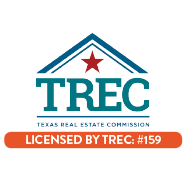 We’re a licensed residential service contract company through the Texas Real Estate Commission, the Texas Home Service Contract Association, and the National Home Service Contract Association. On top of that, Landmark Home Warranty is dedicated to providing the best customer service possible, and it shows through our awards! Landmark Home Warranty is a licensed member of the National Home Service Contract Association. 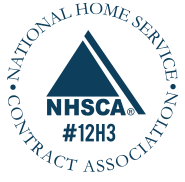 NHSCA provides clear standards for its members as well as education for the public about home warranties. Landmark Home Warranty is also a licensed member of the Texas Home Service Contract Association. 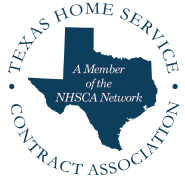 THSCA provides standards for residential service contract companies in Texas. Landmark Home Warranty is a licensed residential service contract company in Texas through the Texas Real Estate Commission. Landmark Home Warranty was awarded the Best Home Warranty in the Region in 2014, 2015, and 2016 by Home Warranty Reviews. They base this award on customer service. I love Landmark Home Warranties. They cover a lot of extras. They also are great to fix a problem should one arise. I am confident when my clients have a Landmark Home Warranty on the property that they buy that they will be taken care of should they need help. Love ordering with Landmark because the website is easy to navigate, ordering takes 90 seconds! My rep, Nate Berrett is always easy to reach when I have questions. On a scale of 1-10, I would give Landmark Home Warranty an 11! Ease of Website. The fact you [Landmark Home Warranty] stands behind issues that come up. The fact I can apply excess funds to future service fees. Also the chocolate you bring my way once in a while is an added bonus. I really love working with Summer Sweaney and providing what I think is a great company for home warranties. My experience has been that they are right on top of claims and immediately provide the service as they say they will. Friends and family have purchased warranties with my recommendations. If there is a problem, the area rep steps up and does what’s right for the customer. Meet Your Local Landmark Home Warranty Representative! Our Landmark Home Warranty representatives work and live near you. They provide personalized and quality service on all things Landmark. Our representatives proudly serve Arizona, Idaho, Nevada, Oregon, Texas, and Utah. Reach out to them about ordering a home warranty for your new home buyers today! At Landmark, we work closely with real estate professionals. That"s why we provide hundreds of free articles that you can use to educate your clients. Find articles on the real estate process, simple home maintenance tips, and how to best utilize a home warranty plan with our resources. Start with the basics. Use these articles to help educate your clients about the entire process of buying and selling their home. Do your clients have questions about home warranties? We have articles that will help explain what a home warranty is, what’s covered and how they can best use it to help protect their systems and appliances. Landmark Home Warranty provides useful articles related to home maintenance, do-it-yourself repairs, and how the different systems and appliances function in your clients’ homes. Sharing these articles can help build value and relationships with your clients.